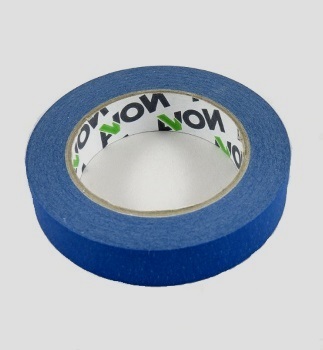 NovaMask 90 Blue 14 Day is a premium quality creped paper masking tape, with an acrylic pressure sensitive adhesive offering clean removal from a wide variety of surfaces for up to 14 days. The low to medium tack adhesion provides clean release without shredding for the most demanding paint applications; from smooth to moderately textured surfaces, even after exposure to sunlight or UV. Meeting the needs of the professional decorator or hardwood floor finisher, it delivers sharp, clean lines with no risk of paint removal or residual adhesive when removed from; painted walls, hardwood floors, glass, plastic, metal, woodwork trim and window frames. 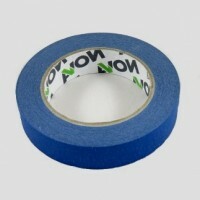 The crepe backing is conformable around sharp corners and the acrylic adhesive gives immediate adhesion resisting lift or curl.